Enjoy a glass of wine on your private lanai, take a swim in one of the refreshing pools, relax in your spacious air conditioned villa, or stretch out on your luxurious king size bed. Our fully appointed villas have everything you need to enjoy your stay on the magical island of Maui. 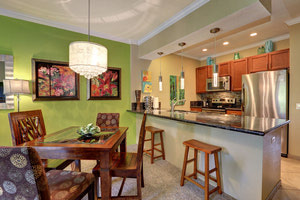 5 Star Dining, Amazing Beaches, Golf, Tennis and Upscale Shopping… all within walking distance! Our villas are located in the Wailea Resort of sunny, South Maui. The complex, surrounded by lush tropical landscaping, is only a short walk to five of Wailea's beautiful beaches. 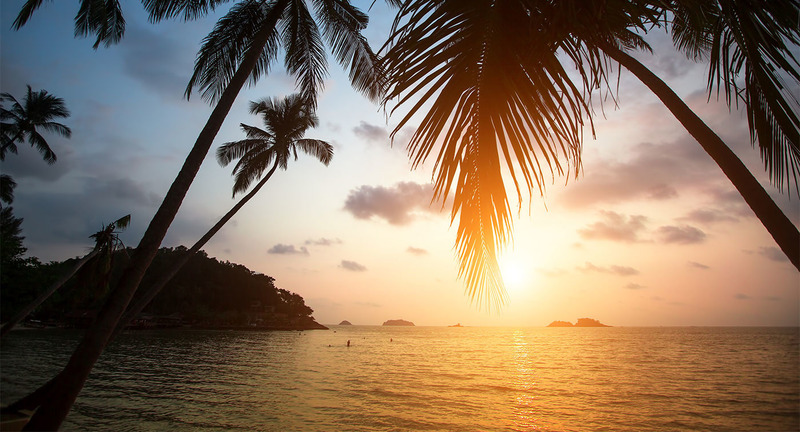 Each of our villas have been extensively renovated to the same high standards and come fully stocked with all amenities so that you can relax and enjoy your vacation. 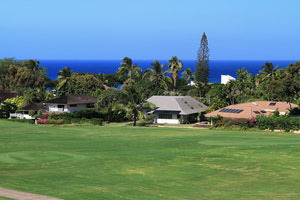 Our villas are located next to the Wailea Tennis Club and the spectacular Old Blue Golf Course. As a guest, you are free to use both of its beautiful pool, hot tub, and barbeque areas. This beautiful, 2 bedroom, 2 bathroom villa looks out onto a tropical garden, making it the perfect place for rest and relaxation. 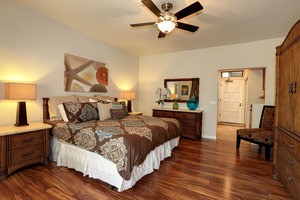 This spacious and modern villa has 2 master suites and a double sized lanai, making it perfect for couples. Relax and get comfortable in the warm, modern styling of this beautifully renovated, 2 bedroom, 2 bathroom villa. This recently remodeled, 1 bedroom, 2 bathroom villa features high end finishes and one of the best ocean views in the complex. 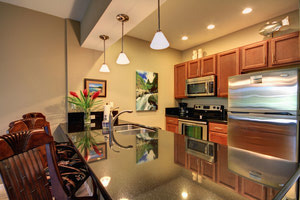 "We loved this beautifully appointed condo!" It had everything we needed and more. This was such a peaceful and private area. The lanai was very spacious and it was a great place to enjoy our morning coffee or evening cocktail. We will be back! The condo is in a great community called Wailea and was such a great change from the busy and more condensed Kihei. Had a wonderful time and can't wait to return! We really appreciated how organized Kathleen, the owner, was from start to finish. I hope we can return to this beautiful condo. Wailea is the perfect location in Maui. "Everything we required and more!" The property on which this condo resides is very nice. Pool/hot tub/BBQ area was great… this condo is right next to it so it’s not far to walk with the steaks! This property is a real gem. We cannot say enough about the lovely, decor, cleanliness and outstanding view. We enjoyed a comfortable relaxing stay and would highly recommend it to anyone. Wow! This has to be the best holiday we have ever had. The villa was fabulous, so comfortable, clean and welcoming after our long journey. It had everything you could possibly need, a real home from home and much much more!